Buckingham County Marriage Records | slate river ramblings . . . .
Due to the burning of Buckingham County’s courthouse in 1869, many of the county’s marriage records were lost. 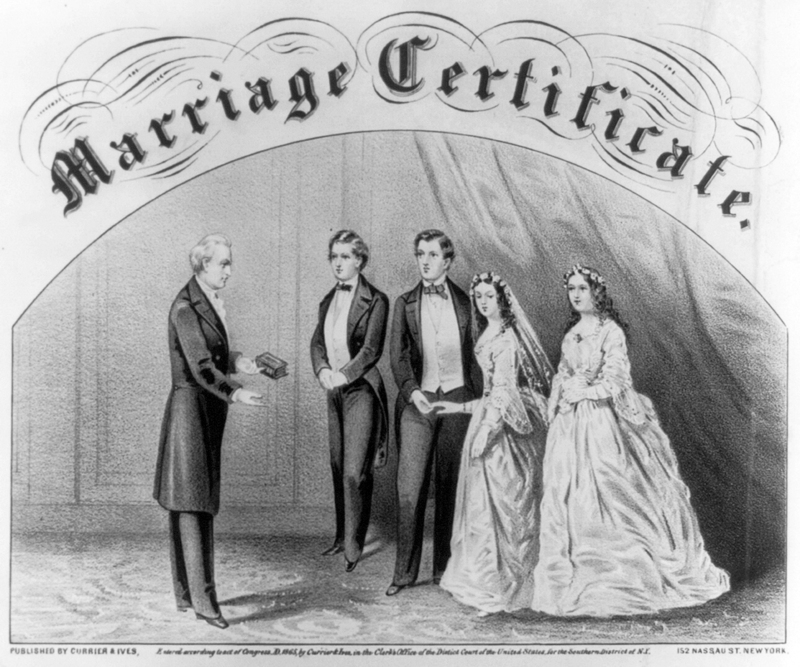 Beginning in 1853, duplicates of marriage records were sent to Richmond. These copies survive and are available on microfilm at the Library of Virginia. Other sources for earlier marriages include the private records of ministers and historic newspapers. Here is a sampling of marriages performed by the popular Methodist minister, Rev. John Ayers. They are included in the Henley Marriage/Obituary Index to Virginia Newspapers at the Library of Virginia. Married- At Travellers Rest, in Buckingham County, on March 20 (1839), by Rev. Ayres, Josiah Hatcher, of Cartersville, Cumberland County, to Miss Virginia C. Holman, second dau. of William Holeman, dec’d. Married- On May 20 (1836), by Rev. Ayres, Samuel Hobart, to Miss Margaret Jane Nixon, all of Buckingham County. Married- On May 19 (1836), at Crab Orchard, Buckingham County, by Rev. John Ayres, Robert H. Ayres, of Highland County, Ohio, to Miss Elizabeth H. Ayres, dau. of Col. John B. Ayres, of Buckingham County. Married- On Wednesday, Dec. 22 (1830), by Rev. John Ayres, Shelton Roberts, of Nelson County, to Miss Jane M. Moon, of Buckingham County. Married- On May 26 (1830), by Rev. John Ayres, William Shepherd, to Miss Martha G. Booker, dau. of Bernard Booker, all of Buckingham County. Married- On Tuesday, August 18 (1829), by Rev. John Ayres, Mr. Robert Patteson, to Miss Margaret Hocker, eldest daughter of Adar Hocker, all of Buckingham county. Married- On Thursday, December 11 (1828), by Rev. John Ayres, Miles Gipson, to Miss Nancy Saunders, daughter of Edward Saunders, all of Buckingham county. Married- On Thursday February 13 (1822), by Rev. John Ayres, Schuyler Thomas, to Sabrina Scruggs, only daughter of George Scruggs, all of Buckingham County. Married- At Cherry Hill, on Tuesday, April 13 (1819), by Rev. John Ayres, Rev. Livingston Walker, to Mrs. Lucy Davis, of Buckingham County. We the readers are in need of knowing about other sources which may bridge the gap from the pre-1869 period which has largely been lost when the court house burned. Dr. Yeck’s sharing of these sources has given us the researchers more alternatives from choosing a path of despair in our attempt to find Buckingham’s past. Reading these names today should bring many of us some cheer as we reflect on what we know of the folks mentioned in these marriage announcements. Rev. John Ayres was supposedly responsible for marrying more people than anyone else in the period of about 1795 to 1850. He lived at “Edge Hill” on the Slate River–just north of Hanes’ Chapel and preached to the folks who would later be a part of the congregation there. His descendants include the children of Elijah Hanes of “Whitehall,” Mrs. Nancy G. Cauble of Richmond, and Judge Les Osborne of Kenbridge. The marriage of Virginia C. Holman to Mr. Hatcher was probably consumated at her country home, “Humanity Hall,” now owned by Mr. Ray Stokes of Lynchburg. Her marriage lasted only about four years and ended with Hatcher’s early death. She then married Col. Richard H. Gilliam of Buckingham–later a Confederate notable who became Sheriff of Buckingham County. Their descendants include the family of Mrs. Virginia Elcan Rosen, the late Margaret Taylor of Buckingham C. H., and the Elcans of Sprouces’ Corner. Virginia Holman Hatcher Gilliam was a member of Maysville Presbyterian and is buried there in a marked grave–near the church. The marriage of Robert Holman Ayres was also one which lasted only a few years–about fifteen or so, ending with the earlty death of Elizabeth Hannah Ayres Ayres. Robert would become Dr. Ayres of Hillsborough, Ohio, who would return to Buckingham after his wife’s death. He settled near his birthplace at Eldridge Mills–adjoining the property now owned by Mr. Elton Hanes. In old age he was a companion for his granddaughter–and only heir–Lula VanPelt, who later married H. Viccus Holman of “Whitehall.” Their descendants include Rev. Thornton–a Methodist minister in Charlottesville and Mr. Simmons of New York City–a well known film director, who married Nina Bernstein, philanthropist and daughter of the world-renown Leornard Bernstein, composer and conductor of the New York Philharmonic Orchestra. I see one of my Thomas-Scruggs unions from 1822.